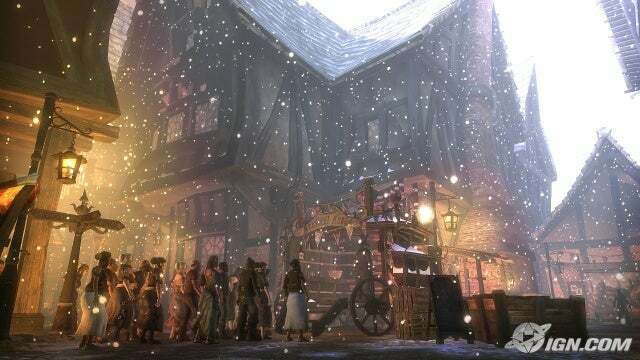 Fable II is an action RPG that is a sequel to the previous, original Xbox title, taking place 500 years after the first Fable but having no major connection to the previous game. 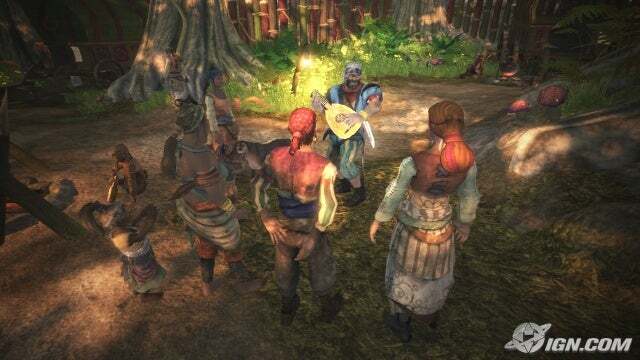 Players missing out on the previous Fable need not worry about jumping into Fable II, although Fable veterans should pick up on some references to and settings from the first game. The hero is totally unrelated to that of the original Fable, the story is unrelated to the first game, and basically all of the game's locations are new and have nothing to do with the original Fable. 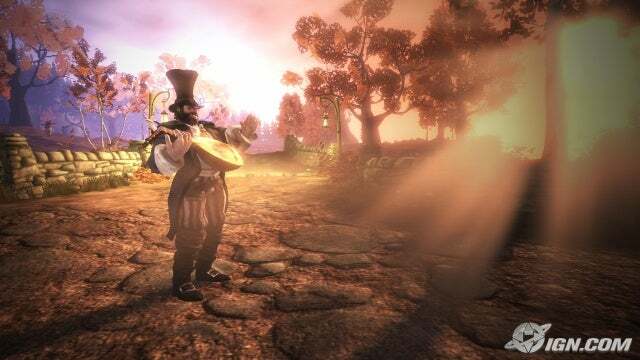 The first big change from the previous Fable that will be immediately discovered is that the player can choose to be either male or female, though this has little effect on gameplay. Males and females can form relationships with NPC (non-player character) males or females, with both heterosexual and homosexual options wide open, and if you become attractive enough and well-liked you should find both male and female NPCs expressing their love or lust for you. Clothing is available for either gender, but the player can choose to wear clothing belonging to the other gender if they wish to do so, and while cloths generally alter appearance attributes for things like attractiveness, poshness, or aggression, wearing the wrong gender's cloths effects a "cross-dressing" attribute. There seems to be no performance differences between the genders, so neither holds any advantages in terms of strength, speed, will, and so on. The next obvious addition from the previous Fable formula is a sort of magical "trail of breadcrumbs". Available quests and jobs are listed in the player's menu and the player can choose one to make "active", or the one they're focusing on, and the sparkly golden trail leads the player in the direction of that quest's next objective. This may seem cheap at first, but it's handy in keeping the player from getting lost while wondering around exploring and keeps the player from having to frequently pause the game to bring up the map in the menu. This keeps action chugging right along and is a welcome addition. 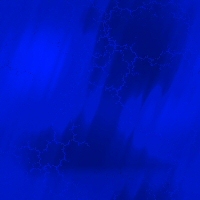 It can be a little laggy if the player is rushing, as it seems to sometimes need to sort of recompute the route, so the player may sometimes encounter the trail leading the wrong way until it gets to recalculate, but it's not a major issue. 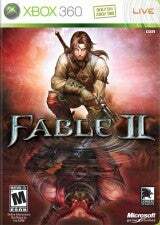 A third and probably the most noteworthy and meaningful addition over the original Fable is that of a dog. Your canine companion joins you during the game's opening sequence and remains with you throughout your character's life, which will span many years in the game's storyline. He joins you in your childhood and remains with you still as an adult, and during the adult portion of the game still many more years will pass, after which the dog will still remain by your side as your most faithful companion; more faithful than any spouse you may ever take up in the game, not to mention far more useful. Besides just having the company and somebody to interact and even play with, your dog barks to warn of nearby enemies, can be trained to attack them while down, alerts you when it sniffs out nearby or buried treasure, and runs up to treasures or digs where treasures are buried. Further, the dog can be trained to do various tricks, and he will do these tricks in accompaniment to expressions used by the player's character. For example, if the player chooses to perform a rude expression, a trained dog may add to that a targeted urination. The player can buy dog collars for him, which can be accessed from the menu to change the dog's name. The player can praise or scold the dog, play fetch with it, and buy dog treats to feed it. This review is in the works. Some things look great, like the glare of the sun and shadows, but the framerate frequently drops, character animations can be pretty N64-ish, and I've observed many visual bugs. It still looks pretty, however. There's lots of voice work that sounds well enough, but the music is underwhelming. Lines spoken by townfolk can be repeated frequently and I've often had the "town crier" repeat himself, announcing the exact same thing twice in a row. Spell selection can be a bit of a chore and the in-game map is fairly useless, as you must halt the game and drop into the menus to view it, but otherwise this is a pretty good package. The cinematics are really nice and the whole opening sequence is terrific. There's a lot to do and different ways of doing it. Battles allow for a lot of variation in strategy and it's simple to alternate between melee attacks, ranged attacks, and spell-casting, and it never gets old or tedious. The dog is a welcome companion. 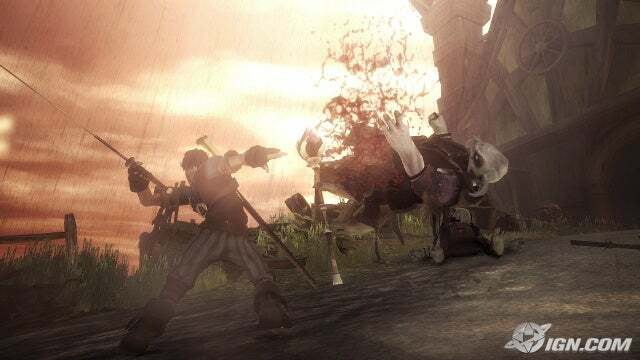 The game is imperfect, I wish there were more types of enemies, I wish there were armors, and I wish it was a bit larger, but it's still a fantastic RPG and a must-play for any fan of western RPGs. You didn't finish this review, either. You left off like half way through. That's a shame since it was going really well and I am sort of interested in reading the rest of it. I've meant to get back to this.